Have you ever felt sick to your stomach? I mean that in a very literal sense. My throat feels clogged, my eyes are stinging. I almost can’t breathe. I’m not being dramatic. My son sits there reading from the computer and asks me if I had heard this news? He uses a Hebrew word, but I don’t recognize it. “Meesrepha” – “srepha” is a fire. I tell him I don’t know what that is, already feeling pressure inside. I can tell it’s bad from his face. He continues reading. There are reports that Bashir Assad has set up crematoria in a prison and is killing something like 50 prisoners a day and burning their bodies. The report comes from American sources. Israel has reacted. A former Chief of Staff says Israel should take Assad out. Enough. Has the world learned nothing? Has nothing changed? Can despots still do as they please? Is it Israel’s responsibility to attack Syria to defend the Syrian people from their maniac president? In 1942, the world had options they didn’t take. 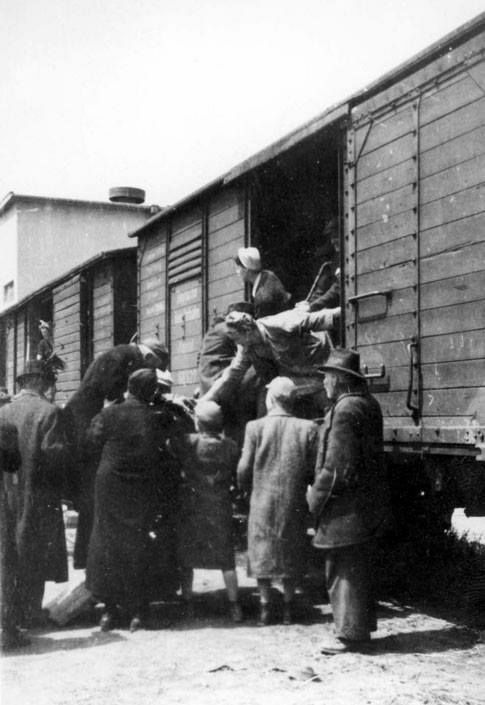 They could have bombed the rail lines to stop the trains going to Auschwitz. They could have bombed the camps themselves. There must have been something they could have done. One could perhaps argue that the world did not know about the Holocaust at the beginning. Perhaps. But we now know the truth. As early as 1942, it was known…known and ignored. At least four million people could have been saved…four million Jews and countless others, had the world acted. We have a moral obligation, every one of us, to do what we can to make this world a better place and so yes, you can cry for your enemy…you should cry for them. 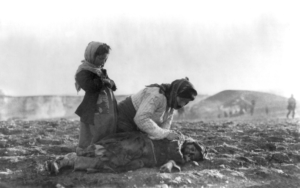 I cry for the people of Syria and though I cringe at the idea of risking Israeli lives, it is what we asked of the world 75 years ago and what they did not do. Listen to the words. There are crematoria alight in Syria. They are burning bodies or murdered people. Almost half a million people have already been burned. Take Assad out. 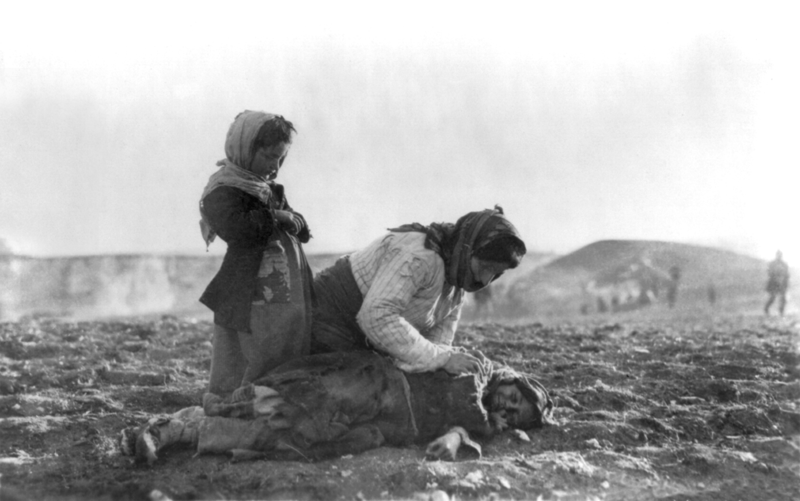 A picture from the Armenian genocide to your right. A picture from the trains in Poland loaded and taking Jews to their deaths below…what picture will we post for the dead of Syria? How many more must die before the world acts? Take Assad out – and if no one else will do it, the we in Israel should. He’s weak enough not to pose a threat to us as Jews and Israelis but as humans it is our moral obligation to do what we can…if we are for ourselves alone, what are we?